Flowers were a favorite theme of artist Susan Kathleen Black (1948–2000). The mission of the Susan Kathleen Black Foundation is art education. The concept of an international, juried art competition and exhibition, the purpose of which is to recognize creative achievement in current art with a floral theme, was a natural outgrowth of this fortuitous combination. To encourage participation, the Susan Kathleen Black Foundation opened the competition to all artists, promoted it worldwide, and offered generous awards. To ensure quality selections, it assembled not one, but two juries of top-notch experts. 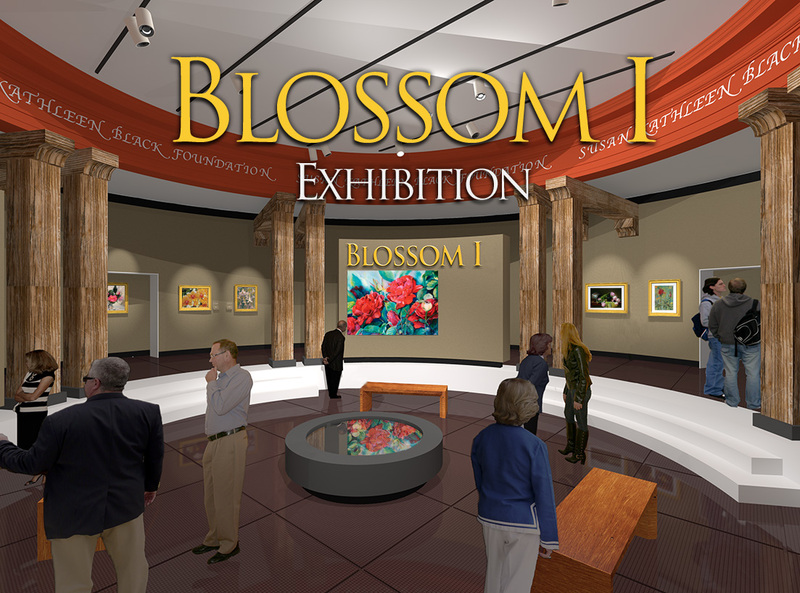 To share the resulting exhibition with audiences nationwide, and to document Blossom ~ Art of Flowers, a museum tour was organized and this catalogue was published. In the world of floral art, there has not been a recent, major competition or exhibition equivalent to the blockbusters of other specialty subjects such as animals, birds, national parks, or the West. Blossom ~ Art of Flowers was conceived to fill this void and showcase the quality and diversity of the best work with a floral theme being produced today.